I ALWAYS downplayed what was really going on. I read what I said and I shake my head. I always minimized it in my Notes. It was usually wishful thinking. I wish I hadn't. I wish I'd been more honest with myself about how bad things really were. But then again, If I had, I probably would've stopped writing earlier. So let's be thankful for the writing I did do in the time that I did it. Speaking of that, have you SEEN how much is available on this website!? The archive alone has links to over 100 Notes, the Books are beyond incredible and will fill you in on absolutely everything you've ever wanted to know - heck, you'll be able to talk easily with Deep Water people after reading those books. You'll make them raise an eyebrow of respect at your knowledge. They are just that helpful, that detailed and that jam-packed. Secrets, secrets, secrets. I don't keep any of them. They are all in those books. Then there's the "Labels" section on the right hand side of this Blog - check that out. I have written on so many more things than just swing or Notes - and it's all right there. Check it out. Anyhow, let's move on to today's video. 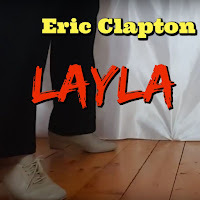 I recorded Layla the day after recording Death Came a Knockin'. This time I wore pants that I thought were longer, but ended up being so short, I almost didn't use the video - I wanted to dump it. But my husband and friends said they actually liked it better - they liked seeing my feet. Tell me what you think? Do you like seeing more of my feet? 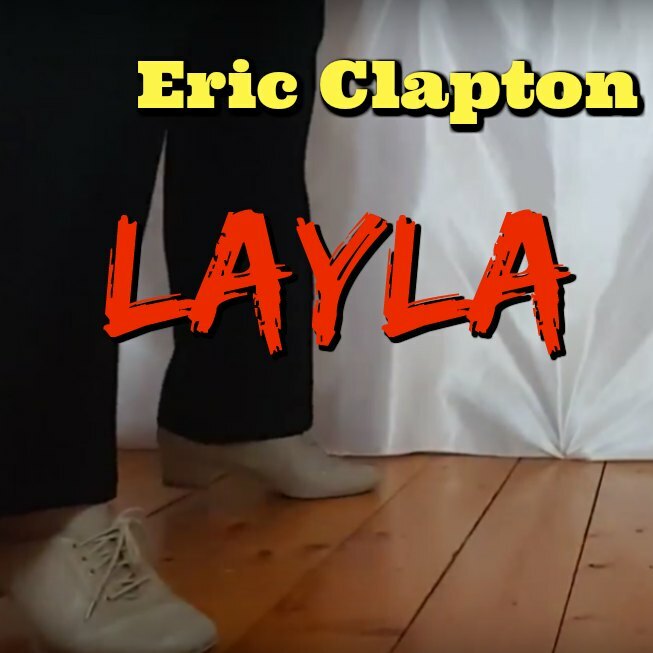 Are you going to download Layla too? If so, be sure to look for the "acoustic" or "unplugged" version! And make sure to buy it - Eric Clapton deserves credit on this one!